Via NetGalley, I received a copy of this book from University of Illinois Press for the purposes of reading and reviewing it. Note this book is not scheduled for publication until September 16, 2013, so this should be considered a review of an advanced copy, not a finished product. 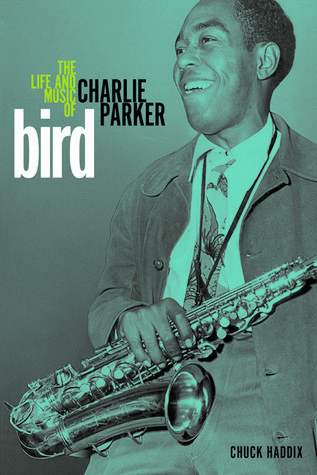 So much has been written about Charlie Parker, it would seem that unless some previously undiscovered diary maintained by The Bird shows up, there can’t be much more to tell. I’ve read several books about Parker, perused many outstanding online sites dedicated to him, listened to his music literally for decades, and generally have been a fan for some time. So with that in mind, I decided to approach this book as though I knew nothing about Parker other than his music. It didn’t seem fair to penalize the author for my prior readings. That said, I thoroughly enjoyed the way this book was put together. It covers not just Bird’s life, but the life of his parents leading up to and following his birth. It certainly pulls no punches, but at the same time was a fair account of the enigma that was Charlie Parker. At times he was unfailingly kind to others, telling up-and-coming musicians to avoid drugs (as Parker himself had been addicted to heroin, originally for pain management, since a car accident in his teens) and to do as he says, not as he does. Other times, he is inexplicably distant and cold, and not always are the drugs to blame. As a fan of his music, I really loved reading about the evolution of Parker’s style as well as his affiliation and, sadly, alienation of his musical peers. I was also left with a sense of wonder at how, when the rubber met the road, Parker could create incredible music, even when high or drunk. I’m left to wonder whether he would have been the same musician and creative genius without his addiction or, in some bizarre way, it helped define who he was musically. The only area I wish Haddix had delved into more was the months or years following Parker’s death and maybe a glance at what happened to his wives and children. I definitely recommend this book as a great source for fans of Parker, music, and biographies in general. The bibliography and end notes are worth gold by themselves.